Introduction by Ross Bertram. 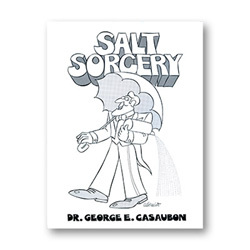 He explains who Dr. George Casaubon really is. Over 90 pages of original tricks with salt. Never before had so much thought been put into this little magical mineral until this book. Throw caution to the wind and salt over your shoulder. This book is nothing to sneeze over. Get your copy of Salt Sorcery today!